The EPSO Situational Judgment Tests are part of the EPSO computer-based testing phase. You take this test in your second language (English, French or German). Firstly the simple tips are based on what you would normally experience during your working day as an employee or manager. During the EPSO SJT exam you should use your best judgment, however, on the interpersonal skills side you should follow the following tips. Most companies and government branches will place a high emphasis on interpersonal relationships. You should always be thinking from the viewpoint of the team and not of the individual. You should be able to collaborate easily and work well with others and you should also try to avoid conflict without losing your assertiveness. You must never lie; this includes stating assumptions. What you should do is tell the truth and tell facts to the best of your knowledge. You should never get involved in a situation that does not involve you. This involves situations, discussions or general matters that do not involve you. You should only get involved if you believe some form of wrong doing is happening, at which point you should inform the proper authority within the company. All group work must be done as a team, meaning the fair and even distribution of work among all. Decisions should be made together is the situation calls for it and the resolution of problems and conflicts should be swift and clean. Furthermore, a good tip and trick is to have a good sense of attention to detail as well as a good attention span. If you skim read or skipped that previous paragraph because it was a bit long, then you will trip up on your Epso Situational Judgement Tests. You should read the questions carefully. Some of them ask for your preferred choice and others ask you to rank choices. You could fall foul of simply misreading a question. If you are naturally nervous about timed tests then try a few online and at home. Teach yourself to ignore the time limit whilst still being aware of it. Practice with the online epso tests so that you become comfortable with reading the questions and answering them swiftly but without rushing. 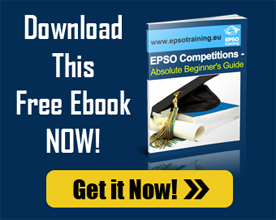 There are a great many books out there that will help you improve your skills in general, so that questions like the ones on the EPSO Situational Judgement Tests will be a breeze. There are books on office and manufacturing management, working relations, interpersonal skills, conflict resolution skills and negotiating skills. There are even books out there that are written specifically to help you get along better in a working environment. Instead of looking for cheats and tips on how to do well on a Situational Judgement Test, why not simply read up on the subject and get good at it. Sometimes, the things at work are common sense, especially when it comes to interpersonal skills, but if you have never been taught these things then you are going to have to go out there and read some books on the subject. We only grow through learning. Finally, you should be sure to have a good night’s sleep before your test and don’t bother trying to train for it the night before. Sleep well then get to the test on time so that you are not rushed or flustered when you take it, and then relax into the test and allow your brain to work at one hundred percent efficiency. 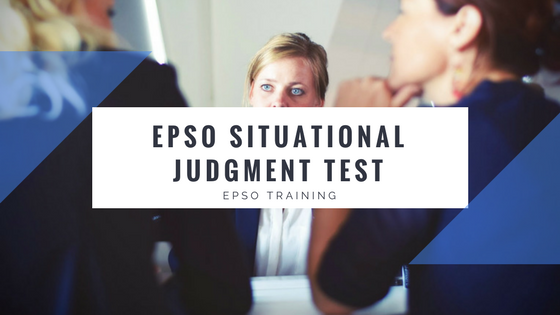 Read more EPSO Situational Judgement Tests tips. Prepare with our online epso sjt course to have access to explained situations and improve your score! When you feel confident you can already start training for EPSO SJT with our Epso exam packs. You can do free online numerical test .